This is not the post I planned today but sometimes you just go with what you've got! I know some of you are wondering when I am ever going to show some more cards and they are made, I just need to get them photographed! They are coming, I promise. Week 2 (January 9-16) -- I was paid $54.64 from Stampin' Up! on January 9; spent $25.98 on stamping supplies on January 10. Bought Crochet Scarf pattern online for $5.50 on January 13. Pretty good if I do stay so myself!!! I have one more full week to go in this Challenge and I think I will come out pretty good. I have a stamping order to do next week (eek!) but am going to try not to spend more than my commission. Unless you're a crafter, you have no idea how hard that is!!! 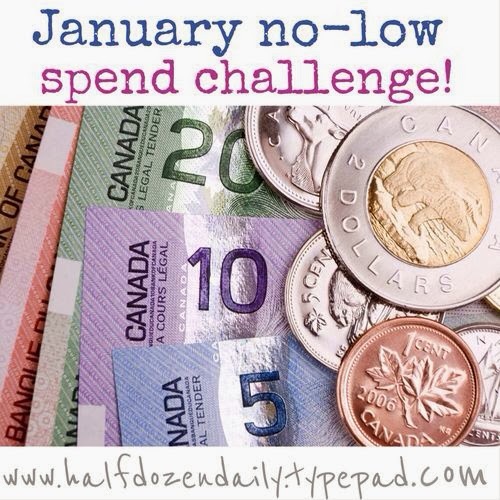 I am doing so well that I am challenging myself to save at least $500 from my allowance and stamping by April 1. Starting to hyperventilate here but give me a minute and I'll be okay:D I won't bore you with the weekly spending on that challenge, just update you at the end of each month on what the total is. Thanks, Carla! Yes, if I keep focused I think I will surely be able to save the $500 by April 1.